Does your company have a written, cohesive travel policy? Is the policy up to date? Does it address the needs of contemporary corporate travelers? These are key questions to answer if you’re a business owner or manager. Good travel policy makes travel cheaper for your company and easier for you. Travel policies are multifaceted, benefiting staff and the company as a whole. Here’s how. A well-written, clear policy helps to ensure that everyone at your company will follow the same travel requirements, no matter what their position in your business. There are many reasons why everyone should follow the same policy. Break down barriers: By putting everyone on the same level, travel policies (as well as other policies) can break down barriers between managers and staff, top executives and middle managers. No more “us” and “them” mentality. No one is above the policy, and no class of manager benefits from exceptions any more than others. Efficiency: Keeping the travel policy consistent reduces corporate travel questions over time and makes staff at your company more self-sufficient. Clarity: Travel policies provide clarity that prevent unnecessary expense while traveling. A good travel policy helps narrow the choices for employees at your company, which makes travel much easier. With a focused list of hotels, preferred airlines and other travel agreements, employees can reduce the amount of time it takes to plan a trip. Perhaps the No. 1 reason to keep a travel policy in writing is to cut business costs. By establishing travel agreements and contracts with airlines and hotels, companies are able to offer reduced rates to their employees. If your business has not had a travel expense policy in the past, knowing how to write a good travel policy is a must. Explain the reasons why. Once your employees understand the reasoning behind your travel policy, the policy itself will become easier to follow. Use as few words as possible. Long-winded policies are harder to read, harder to follow and almost impossible to remember. Short and sweet is best! Review and amend the policy as needed. Once your policy is written, be sure to review and amend it on a regular basis. Some companies find it is important to do this as travel practices change, others find it’s important to amend their policies as they encounter problems with the existing policy. Divide your policy by types of travel. Dividing the travel document into sections by types of travel makes it easier for your employees to scan and follow. Meet the needs of modern travelers. Your travel policy must address contemporary travel options such as travel fair aggregators, app-based taxi services, and home-based hotels. Integrate your corporate travel policy into a streamlined online booking system. With an online booking system in place, it’s less likely that your employees will deviate from policy. Finally, when the corporate travel policy is written, make it accessible for everyone in your company — from executives to support staff — and everyone in between. Offer trainings and hold staff meetings to help ensure that the policy is accepted and followed. Corporate travel can be a cause for headache in companies where no clear policy is established. 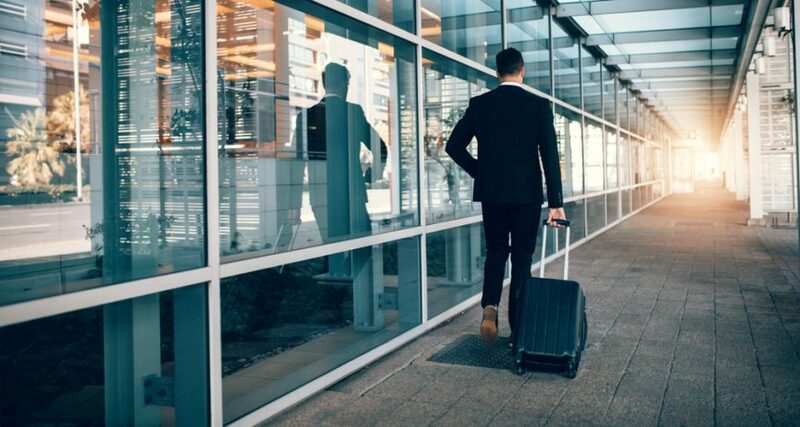 By making your travel expense policy accessible, understandable and available to everyone in the company, you can simplify the corporate travel experience.